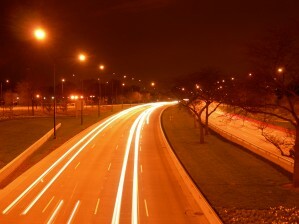 This stretch of roadway, which serves some of the largest hotels and shopping centers in the city, hosts twelve bus. The number of full-time routes is five between Ontario and Chicago, dropping to four north of Chicago. This is still a significant number of bus routes on one street, justified by the shear demand (I've often ridden a 147 that filled up completely before entering Lake Shore Drive). The problem with so many bus routes is that it creates a lot of demand for the right hand lane (in order to pick up passengers). The problem is that the taxi cabs need to use the right hand lane as well to pick up passengers. 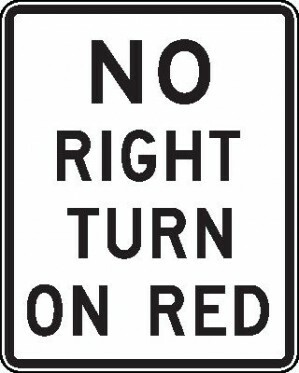 This can create a lot of lane switching from the left lane to the right lane which provides ample opportunity for collisions. One simple solution would be to prohibit private cars from using Michigan Avenue north of Ohio. 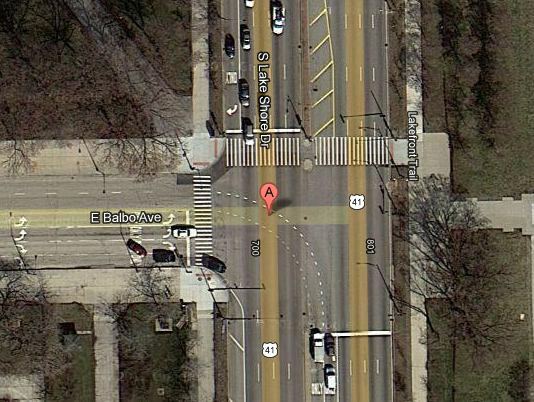 Cars could be directed to use Ohio to reach Lake Shore Drive via Columbus and Grand. For those starting their trips from the Loop it would be a simple matter of directing them to go east on Jackson, Monroe, and Balbo. This would complicate trips for many travelers but it would be the most effective method of utilizing limited capacity: reducing the number of vehicles. There is still some flexibility and opportunity in the downtown lakefront area for modifying streets. 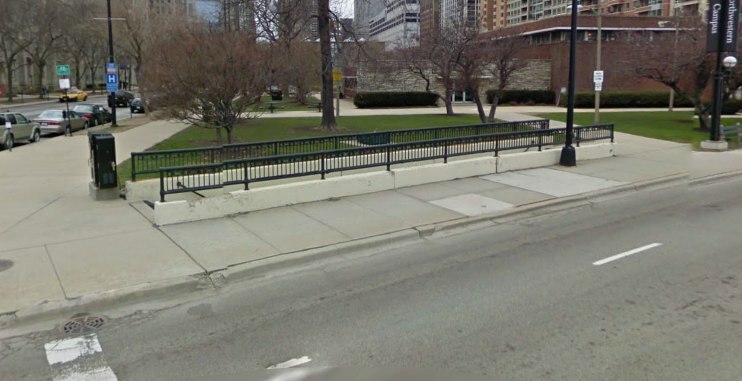 Michigan Avenue has no such flexibility; expanding the capacity would either require demolishing the median which has some cityscape value, or destroying sidewalks. A second solution would be to designate the right hand lanes of Michigan Avenue for buses and taxis exclusively. This could be combined with using articulated buses to increase the capacity of the routes without adding more vehicles. Another problem with so many routes on the same street is that there is a bus on almost every block stopping to pick up and discharge passengers. This essentially brings 33% of Michigan Avenue's capacity to a dead stop. Converting North Michigan Avenue to free area would dramatically reduce boarding times; any lost revenue could be made up elsewhere. Boarding times could also be reduced by installing a system similar to Curitiba where passengers pay to enter the bus shelter and then board the bus through platforms. The wider sidewalks on North Michigan Avenue could allow for such a system. The overall problem with North Michigan Avenue is that there are simply too many vehicles. New residential developments and economic growth will only make this situation worse. The lake shore express buses are one of the few positives about the CTA. 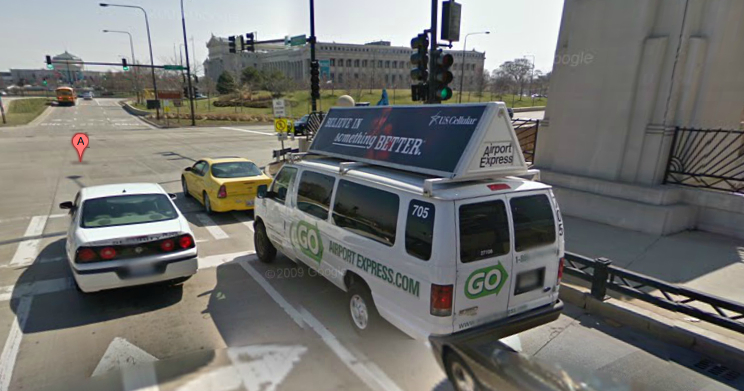 If someone's destination is the far north side they can use the 147 Outer Drive Express bus to reach their destination instead of the Red Line. While the CTA has historically had express service on the L and continues to use express service in the form of the Purple Line rush hour service to Evanston, it isn't tremendously useful in its current incarnation. The Purple Line Express has several flaws that limit its effectiveness to commuters and reduce its attractiveness to city residents. The primary problem with the Purple Line Express is the shear number of stations it serves in the Loop and River North neighborhoods. Express services are most effective when they have a minimal number of stops; each additional stop increases the complexity of the service by introducing an increasing number of commuter types. Short haul commuters find themselves fighting against long haul commuters when they need to exit the train as a result. The Purple Line would be more effective if it traveled express all the way to Fullerton after leaving the Loop. Unfortunately this is no longer possible due to the removal of the express tracks south of Armitage. While these tracks were removed because of structural problems their absence has resulted in a lost opportunity to increase capacity. The Brown and Purple lines are now interlined for a significant amount of the Brown Line's length, which limits each line's capacity. Purple Line Express wait times are already longer than average, so missed trains means more commuters crowding platforms and competing with Brown Line riders. Another weakness of the Purple Line Express is that it competes with the Metra Union Pacific North Line in that they both exist primarily to serve suburban riders. The Purple Line Express is useful for commuters to Evanston and other suburbs but not for city residents along the densely populated north lakeshore. The Union Pacific North Line scheduled travel time from Ogilvie to Evanston Main Street Station is twenty minutes on some runs. Unlike the Purple Line Express there are only three stops between these stations so the Metra trains can make very good time consistently. The Purple Line Express is scheduled to make this trip from Washington/Wells in 38 minutes. While riding Metra requires riders to walk farther west Ogilvie has the advantage of being a terminus station with consistent time tables. The Union Pacific North Line also has an advantage in that it does not have to share track with other services during its journey which reduces its susceptibility to delays caused by other trains. A Purple Line Express train can be delayed by a problem on the Pink Line, Green Line, or Orange Line since they all share the Inner Loop track. The 147 Outer Drive Express does not suffer from any of the aforementioned problems. After Michigan and Delaware just north of the Magnificent Mile the bus runs express for almost six miles to Foster and Marine in the Edgewater neighborhood in about 13 minutes. All the times I've ridden this bus it has consistently made this run in the alloted time even during rush hour. 5.8 miles in 13 minutes equals an average speed of approximately 27 miles per hour which is an impressive speed for a bus in urban conditions. During times I have ridden the bus from Wacker to Foster and back it has managed to make the trip in approximately 25 minutes. This is consistent with the published schedule and a slightly faster than the Red Line. The Red Line has a lot more stops between downtown and the north side than the 147 so the chance for delay is greatly increased; 27 minutes from State and Lake to Berwyn is optimistic on a good day. The Outer Drive Express is an example of effective express bus service, dedicated to collecting passengers in the commercial core and then shuttling them as fast as possible to a residential area. Suffice it to say, I will be using the 147 to travel to the north side from downtown from now on.